A 740 horsepower Benz coupe painted a chrome-Bieber blue is sure to turn some heads as it speeds past at 155 MPH. But one key detail that will escape detection at that speed is the fact that this thing is electric. True. 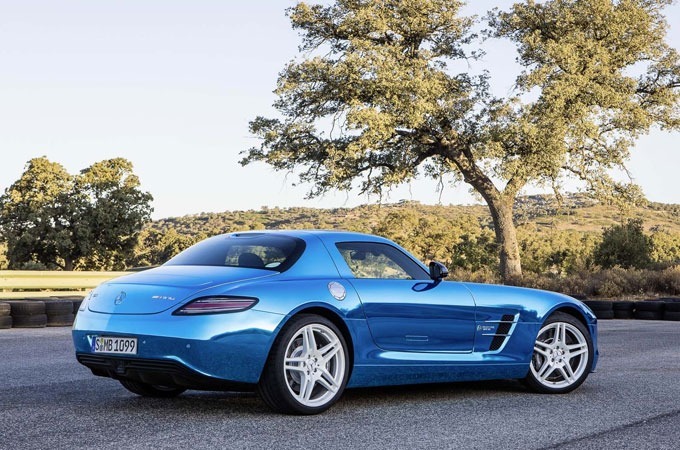 The SLS AMG Coupe Electric Drive, due out next summer, marks the end of the electric-equals-boring era.